This book is about the evolution of a new approach to medicine know as ‘Functional Medicine’, an approach that is more holistic than traditional western / conventional medicine. ‘Functional medicine’ is about holistically understanding and dealing with ‘causes’ rather than the isolated ‘treatment of symptoms’ that is so prevalent in so many other areas of medicine. 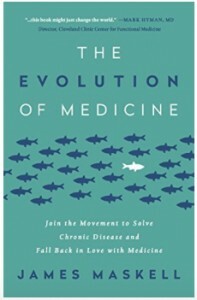 The books author James Maskell is British but has helped numerous doctors in the USA set up their own ‘functional medicine practices’ using a fundamentally different business model where doctors and other healthcare providers are rewarded for their clients / patients ‘being well’ rather than the more common model where they are rewarded for their clients ‘being sick’. The other major issue that functional medicine addresses is the ever increasing excessive stress that modern doctor lives under, reflected by the fact that doctors practicing in the conventional medical world of local / GP surgeries. The profession with the highest SUCIDE rate for the last 10 years is ‘medical doctors’ and their suicide rate continues to grow. The author explains how doctors who truly care and want to help cure people are overwhelmed, frustrated and unfulfilled due to a system that deters them from helping people deal with the underlying causes of their illness. The ‘functional medicine practices’ described in this book are truly a new concept illustrated by the fact that they also have various health and lifestyle specialists and coaches supporting the doctors. Your average General Practice doctor will only have had 2 days of nutritional training in their 5 year medical degree, so they are not experts in an area that causes or compounds numerous conditions with which people are seeing them e.g. diabetes, gout etc. This book details real world examples of healthcare practices getting astounding results for all manner of illnesses and disease from this ‘new evolving’ approach to medicine. Results that are so powerful and so real that it is a case of ‘when’ rather than ‘if’ ‘functional medicine’ becomes the best known and most favoured approach to human wellness. The author stresses that functional medicine does not seek to reject conventional medicine, in fact it embraces it as one of the approaches that can help solve the puzzle of optimum human health. So what is ‘functional medicine’? ‘Functional medicine’ more is fundamentally more holistic in it’s approach to traditional western medicine, in that it looks at the ‘mind, body, emotion and spirit’ of each individual. It is also more holistic in that it does not separate the systems of the human body. In a traditional western hospital there are doctors, consultants (and researchers / scientists) who specialise in understanding one of the systems or organs of the body, e.g. a Gastroenterologist specialises in the digestive system, a Cardiologist specialises in the heart, a Neurologist focuses on the body’s neurology etc.. However, there are no specialists in the interrelationship between the body’s different systems. You will not find a specialist in a conventional hospital who looks at the relationship between the body’s gut and the body’s neurology – yet that is where the key to solving my son’s autism lay! For example when my son consumes wheat, gluten or dairy the particular imbalance of his gut bacteria causes the release of ethanol and alcohol based chemicals which cause brain fog. Such realisations are beyond the grasp of conventional medicine, not because the doctors don’t care or are unintelligent, but because their ‘non-holistic approach is fundamentally flawed. Fortunately for my son’s wellbeing, my wife is a qualified Nutritional Therapist who has practiced functional medicine for 8 years. In that time she has been going to Functional Medicine conferences and until 2 years ago she reported that less than 5% of the audience were traditional doctors and medical practitioners, in recent years she believes that figure has grown to around 25%! Diane has even recently taken one of her own clients to the annual functional medicine conference in London who is a practicing GP with 2 autistic children. So attitudes and the landscape are changing and when you read this book you will get a greater insight as to why functional medicine is such a huge deal. The BBC have a hugely popular series called ‘Doctor in the House’ starring Dr Rangan Chatterjee whom my wife often sees at functional medicine conferences. Dr Chaterjee who is a qualified GP, is filmed visiting sick people in their homes, he spends time understanding their mind / emotions, body and spirit and the relationship dynamics within the home. Whilst he uses a total functional medicine approach in his work, to avoid the ‘new age’ label he does not advertise the fact that this is what he is doing, but it is ovious to my wife or any functional medicine practitioner that this is exactly what he is doing. The results of his clients / patients speak for themselves and range from ‘reversing diabetes’ to ‘becoming pain free after years of pain and being addicted to pain killers’. Whilst I believe this book is an important read for anyone with an interest in more effective preventative and curative healthcare solutions and is largely written in ‘layman’s’ language, I believe it is an absolute MUST read for all healthcare professionals. Conventional medicine is ‘symptom based’, rather than ‘cause based’, yes symptoms have to be treated and if I broke my leg that would be exactly what I would want, what caused me to break my leg may well be obvious and irrelevant, however for long term sustainable healthcare and disease cure and prevention we need to be identifying ‘the cause’. This is at the heart of functional medicine. 5 years ago conventional medical practitioners including so called ‘Autism Experts’ gave my wife and little hope of my son leading a normal life. However, my wife Diane is a fully qualified Nutritional Therapist who is trained in ‘FUNCTIONAL MEDICINE’ and thanks to the approach of this emerging highly effective approach to human health my son’s improvement to date has baffled the so called experts and he now attends a regular school and is ‘above average’ at reading! So that they can provide better healthcare solutions to those they serve. ‘Functional medicine’ addresses the ‘excessive stresses’ that many of them suffer illustrated as I previously mentioned that for the last 10 years ‘medical doctors’ HAVE THE HIGHEST SUICIDE RATE of all professional occupations. This book is wonderfully well written and also well narrated by the author himself for those of you who wish to get the audio version. The author presents not only the reasons that a ‘functional medicine approach’ serves the patient / client so much better as a wellness diagnostic and cure, he also has a strong understanding of ‘business practice and business models’. 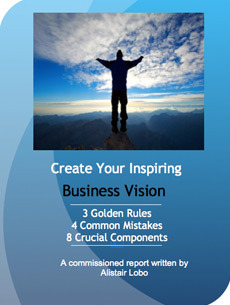 As a business and leadership coach I learned a lot form this book about ‘the underlying structures of effective business models’. James does acknowledge the differences between the NHS in his own country the UK and the Healthcare model of the USA, however, much of the points made in the book and the solutions he offers are equally applicable to both countries. James rightly points out the biggest fundamental flaw in the conventional medical business models whether it is the business model of GP practices, Pharmaceutical companies or the many hospitals and other healthcare providers who business model is shaped by the ability to be able to claim medical insurance monies for privately insured individuals. The enormous flaw is the business model is … ALL OF THESE CONVENTIONAL HEALTHCARE PROVIDERS AND SUPPLIRES OF MEDICINES REWARDED FOR PEOPLE BEING SICK! The author does not suggest that we can completely change all of these models, but he has successfully implemented a model with clients in the USA where DOCTORS ARE REWARDED FOR THEIR CLIENTS BEING WELL!